Both set of conditions and exception are the same. Exceptions are logically NOT conditions. When exceptions are met action will not be done on the message. When conditions are met action will be done on the message. The application first checks exceptions and when nothing is met it goes to conditions. When conditions are met - action is done on the message. Matches messages sent by specified sender(s). 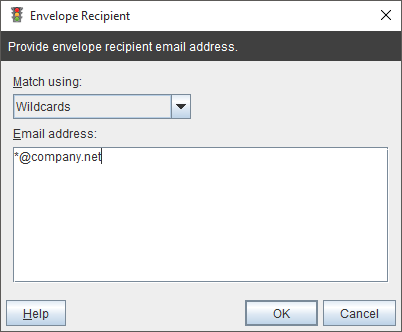 Several addresses can be separated with semicolon (;) or a new line. 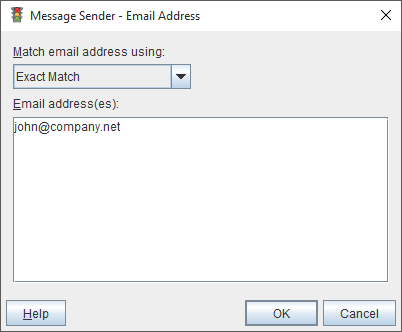 Matches messages which are sent to specified recipient. 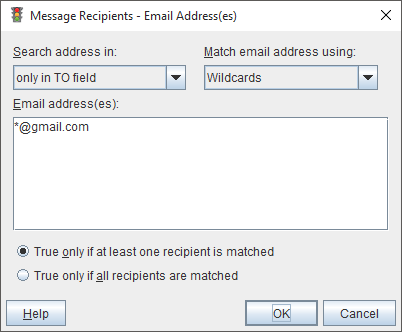 Matches messages which are sent to specified recipient(s). 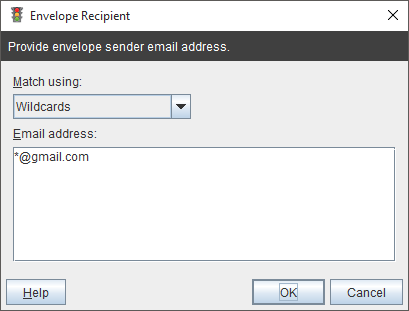 Recipient can be listed in To, Cc and/or Bcc field. 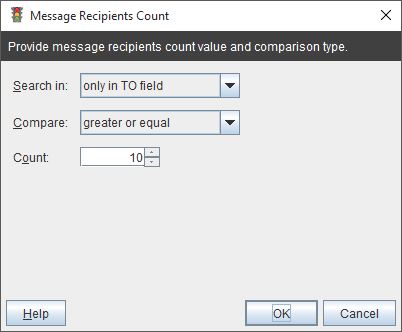 If condition/exception should be true when at least one recipient is matched then True only if at least one recipient is matched, otherwise True only if all recipients are matched option must be selected. Several addresses can be separated with semicolon (;) or a new line. 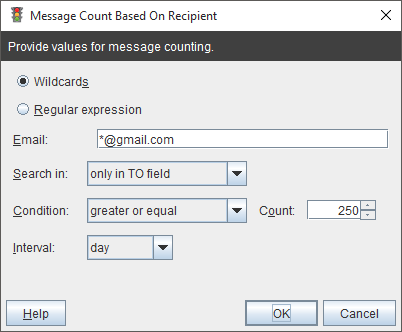 Matches messages which have specific count of recipients. 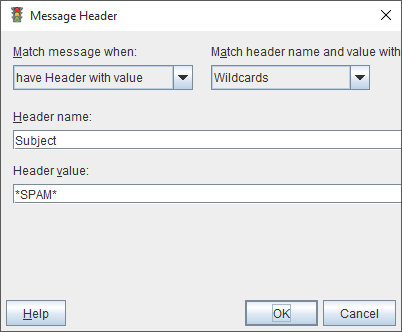 Matches messages with specified headers. 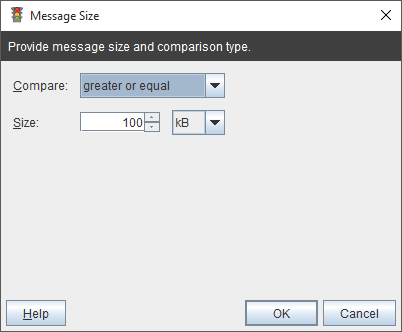 Matches messages with specified size. 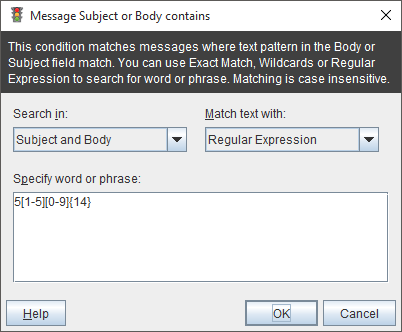 Matches messages which have specified keyword pattern in body or subject. 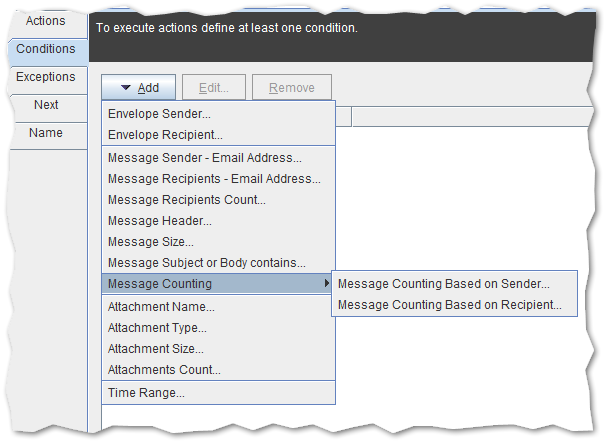 Count messages by matching message sender address. 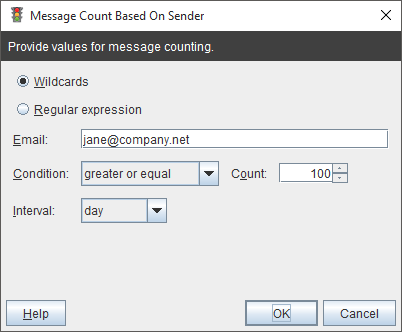 Count messages by matching message recipients. 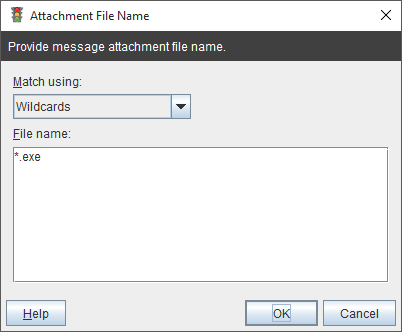 Matches messages by attachment file name. 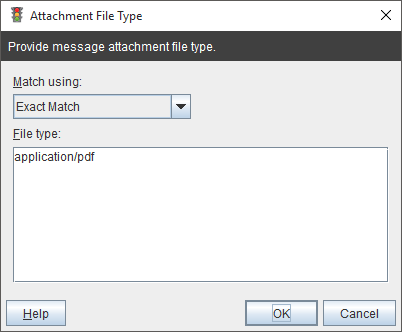 Matches messages by attachment file type. 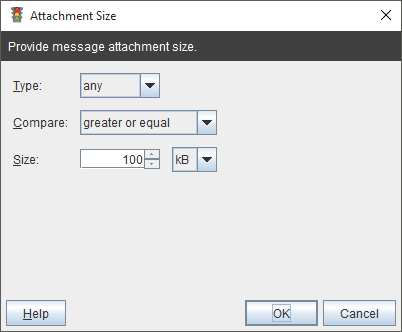 Matches message by attachment file size. 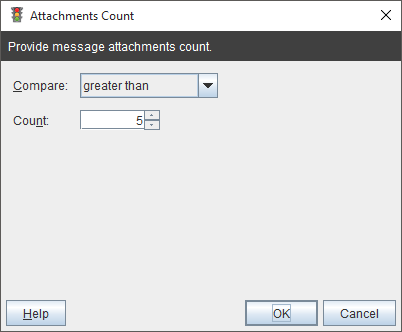 Matches messages by number of attachments. 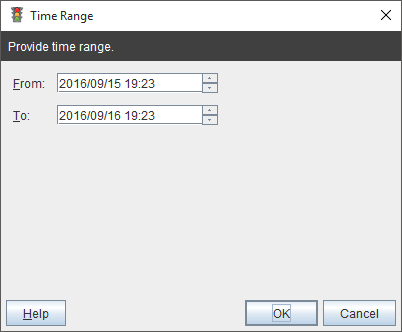 Matches messages in time range.